Another great addition to our literary offerings is Jean Gill, who will be present at the BookFair and the LitFest Saturday and Sunday. A very prolific writer across several genres, on Saturday April 29th at 12 noon at the Fountain Fine Art Gallery, Jean reads from her book "On the other hand"
Admission is free On the other handAre your friends left-handed or right-handed? Left-brained or right-brained? What difference does it make? Jean Gill reads from her book ‘On The Other Hand’ for teenagers aged 12 – 15. Ar y llaw arall? Jean Gill yn darllen ei nofel I blant, am fod yn llaw chwith, 12-15 oed. 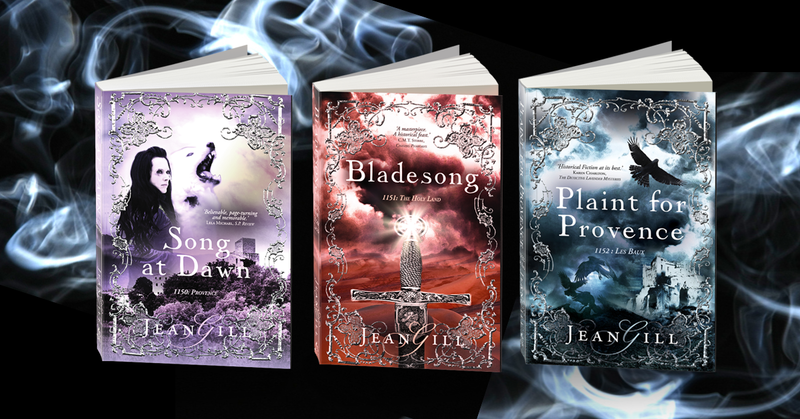 £5,90 Figures in a Twelfth Century LandscapeJean Gill talks about the warrior princess Gwenllian and her son, the Lord Rhys of Deheubarth, the Welsh background to the latest book in her Troubador series, Song Hereafter. Sgwrs gan Jean Gill am y dywysoges Gwenllian a’r Arlgwydd Rhys, sy’n sail I’w chyfrol diweddaraf, Song Hereafter. And here is an interview with Jean. Welcome Jean, please tell us about the books you’ll be bringing to the Book Fair. 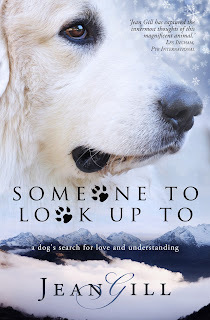 Historical and contemporary novels, a memoir, a shaggy dog tale, shorts, poetry, even a cookbook – which genres DON’T they belong to would be a better question, although each book can sit nicely on one genre bookshelf. I hope that readers will find the characters three-dimensional; the main characters sympathetic and the plots believable with some surprises. I’m half-way through writing ‘Song Hereafter’, the last book of my 12th century Troubadours Quartet. History really never has been more exciting, and my favourite review says the series is ‘like Game of Thrones with real history’. The last book takes Dragonetz and Estela, the two troubadours, on a mission from northern Iberia to Wales in 1153, where Eleanor of Aquitaine wants them to secure the support of Deheubarth for her husband Henry, who is fighting to claim his kingdom of England. Discovering medieval Wales through the eyes of characters used to the sophisticated courts of southern Europe is very interesting, but Lord Rhys is no barbarian and I think he’ll give them a few surprises. ‘The Troubadours Quartet’ has taken 10 years to write, and each book is based on a year’s historical research before I start to write the story, so that is by far my most ambitious project. November 15th 2017 will see the publication of the last book. I shall crack open the champagne and no doubt cry a little! 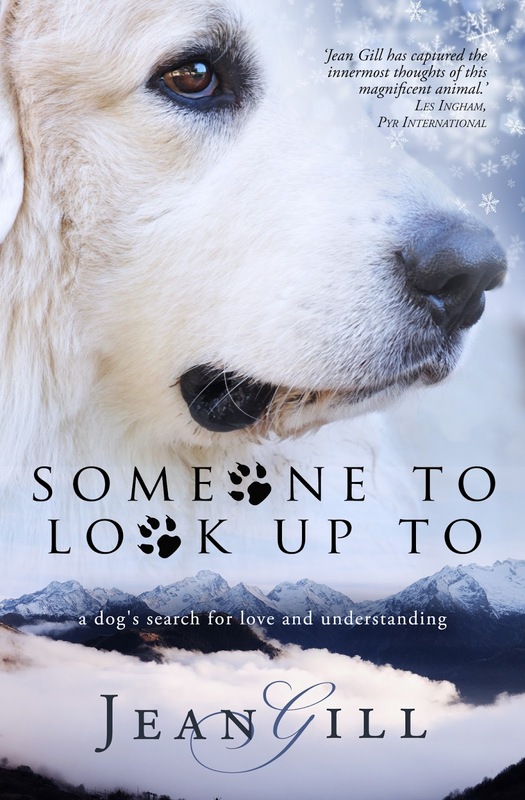 But my book that has already changed lives – dogs’ lives – is ‘Someone To Look Up To’, and each time readers tell me it has helped them understand their dog, and has prevented dogs being abandoned, I feel proud that I turned the knowledge I gained from working with a top trainer, into a story from the dog’s viewpoint. All the events in the book are true and anyone who cares about animals, and who reads it, will know that it was written from the heart. I lived in Carmarthenshire for twenty-five years and it is my adopted home. 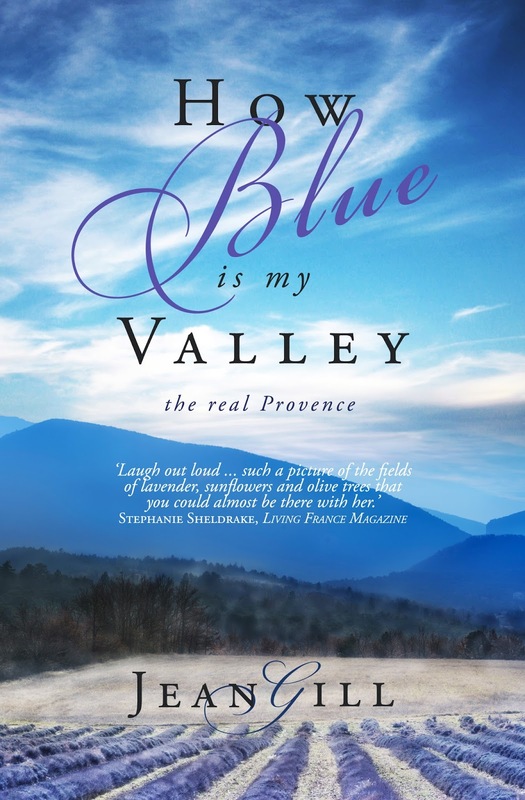 Although I now live in Provence, I need my Welsh fix and, when I’m seeing family and friends, I try to fit in a literary event. When I saw the Llandeilo Festival becoming a lively, regular event, I so much wanted to join in and support it! I’m very grateful to Christoph Fischer for inviting me. The internet is a wonderful place and I met Christoph online as a fellow historical fiction writer, before discovering that he lived so close to my old home. I moved to Wales when I was twenty-two and taught English there, at different career levels, for over twenty-five years. As I described in my memoir ‘How Blue is My Valley’, I had a nomadic childhood and, although it was not easy to integrate into the rural community where I lived, I made it my adopted home. My father was a soldier so we moved around a lot. The longest I ever lived in one place was 2.5 years until I went to university (in York) and then worked as a teacher (in Llanelli) My claim to fame is that I was the first woman to be a secondary Headteacher in Camarthenshire (Graig Comprehensive in Llanelli); equal first in Wales. I am mother or stepmother to five children so live has been hectic. Since my husband retired in 2003, we moved to Provence, and I now work as a writer and photographer. Other favourites include Guy Gavriel Kay, Dorothy Dunnett and Robin Hobb.